The Maryland Horse Council is the umbrella organization for all horse organizations in Maryland. The board of directors consists of one representative from each member organization, as well as directors at large who represent individuals, farm and business memberships, and youth groups. The board of directors, which meets quarterly, elects the officers and the executive committee. The executive committee serves as the steering committee for the council, meeting monthly and conferring regularly to oversee housekeeping and planning issues for MHC. They are your representatives. Please feel free to voice your concerns or opinions to them, whether or not you are a member. MHC is here to serve the entire Maryland horse community. Neil Agate is the founder of Four Gates, LLC, a business and technology services firm that works with early-stage companies in Healthcare IT. He is a board member of the British-American Business Association and co-chair of the association’s communications committee. 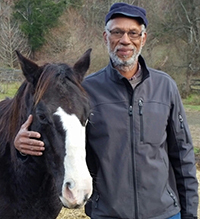 While Neil enjoys all horse activities, he is an avid polo player and has been active with several polo clubs in Montgomery County over the years. In addition to playing the game he has announced many charity polo matches up and down the East Coast. Originally from England, Neil has lived with his wife Kathy and two daughters in Darnestown for the last 20 years. Chris Bricker lives in Catonsville and works as an operations manager for Northrop Grumman. She is a lifetime member of the Maryland Horse Council and has served as secretary on the Executive Committee for four years. Chris is a Thoroughbred breeder and owner and presently has three horses in training at Pimlico and several mares at a farm in Woodbine. She is also on the board of the Maryland Thoroughbred Horseman’s Association and is the program coordinator for the Thoroughbred Aftercare Program. Dale is a lifelong resident of Frederick County, Maryland and a graduate of the University of Maryland. She has been an owner/agent with State Farm Insurance in Walkersville, MD since 1979. She began riding as a child, was a charter member of the Frederick Pony Club (1962), and is the co-founder of the Woodvale Farms boarding facility and the Menfelt Horse Trials. Clarissa Coughlin works as the Graduate Coordinator for the College of Education at the University of Maryland, College Park. 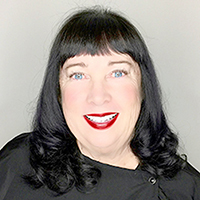 She is the founder and director of Friends of MD Standardbreds, FOMS, a nonprofit organization that promotes harness racing and the versatility of the Standardbred, and advocates for the Standardbred industry. She has owned and raced Standardbreds since 1989. Clarissa has been actively involved with the Harness Horse Youth Foundation and the Maryland Horse Council and co-hosted the unveiling of the first Maryland Historic Horse Trail with the Maryland Horse Industry Board in 2014. 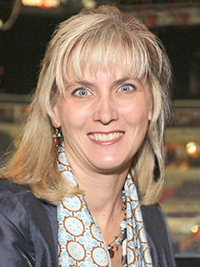 She introduced the first racing under saddle (RUS) event in Maryland and is a board member of RUS America and the Maryland Standardbred Breeders Association. She resides in Lothian, Maryland, with her husband Jim, a longtime Standardbred trainer and owner; her mother, Ursula Ayd; and retired Standardbred, Game Day. Ahesahmahk Dahn founded City Ranch, Inc. in Baltimore to teach children about horses. He and Jean Dahn have spent over thirty years working with children in the greater Baltimore area. Their experience combined with city living conditions led them to want to do more to help refocus and inspire youth and reduce crime. City Ranch and its Board of Directors felt children needed to be challenged, and they developed a comprehensive equestrian program in an urban setting to provide that challenge. The City Ranch teaches students how to groom, tack, and ride horses and offers a way to help young people appreciate Baltimore’s long traditions of horsemanship. Ahesahmahk is a Charity and Foundation Member of the Maryland Horse Council and has been a stalwart in the Maryland State Fair’s Horseland exhibit for the past two years. Before joining the MHC Executive Committee, Royce served on the MHC Board of Directors for seven years as the representative for Tuckahoe Equestrian Center. He graduated from Keystone College in 1966 and the University of Delaware School of Economics in 1971 and has spent over 40 years in food service marketing. He rode extensively as a youngster and competed in rodeos as a teenager while working on a dairy farm. He returned to horses after the kids were grown. Royce is currently involved in trail riding, and has competed in Mounted Cowboy Shooting and mounted Wild West shows. For 13 years, Royce directed and acted in western shows for the Outlaw Days at Tuckahoe. He is a national competitor in muzzle-loading bulls-eye pistol shooting and is a master gunsmith, owning and operating Centreville Gunsmith. Royce also teaches Hunter Safety for the State of MD and is a member of the MD Hunter Safety Instructor Hall of Fame. Crystal is the owner and publisher of The Equiery. She rode on the University of Maryland equestrian team in college and has been involved with hunters, combined training, dressage, and foxchasing. She has been a member of MHC since 1991, and serves on the board of directors as a director-at-large representing the business membership. Crystal also serves as secretary for the Maryland Steeplechase Association and technical adviser to the Maryland Horse Industry Board. Valerie retired as a U.S. Navy Captain and has since pursued interests in writing and with horses. In 2014, she founded her own business, Veteran Writing Services LLC, providing professional writing, editing, and consulting services. Her two young adult novels, Believing In Horses, and Believing In Horses, Too, both received the Gold Medal in the Military Writers Society of America Book Awards, among other honors and awards. Valerie is a certified riding instructor with the Certified Horsemanship Association, a member of the Equine Assisted Growth and Learning Association, and she competed in the National Capital Adult Equestrian League for nine years. She served on the Prince George’s County Equine Industry Task Force and chaired the Maryland Horse Council’s Save the Horse Farms Committee. Valerie and her husband, Jaime Navarro, also a retired Captain, own and ride their three horses in a variety of disciplines. 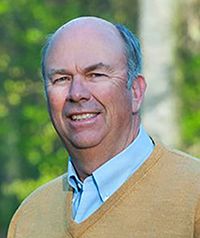 Elected Member & Vice President-Elect: Steuart Pittman, Jr.
Steuart and his siblings are the eighth generation of his family to own their 550-acre Dodon Farm in Davidsonville. For the past 15 years he has made his living there as a breeder, trainer and competitor in three-day eventing. 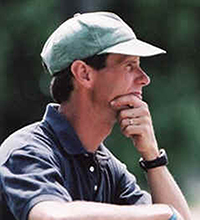 Steuart was Maryland’s first eventing instructor to be certified by the U.S. Eventing Association and he conducts clinics throughout the country at both private facilities and expos. He has competed through the Advanced level on his Maryland-bred Thoroughbred stallion Salute The Truth, who now stands at Dodon Farm. Steuart grew up riding with St. Margaret’s Pony Club and the Marlborough Hunt Club. He graduated from the University of Chicago and then spent eight years as a political and community organizer in Chicago, Des Moines and Washington, DC before returning to the farm and horses. He became actively involved with the Maryland Horse Council during the campaign for the Maryland Horse Park and found that it was a good use of the skills he had acquired in his career as an organizer. His most recent undertaking is the creation of the Retired Racehorse Training Project, an educational organization that seeks to increase demand for Thoroughbred ex-racehorses. Bill is a licensed bloodstock agent and has distinguished himself in the Thoroughbred industry, with more than 35 years in the business. After training horses at Mid-Atlantic tracks for 10 years, Bill worked at Spendthrift Farm in Lexington, Kentucky for five years in the training, broodmare and stud divisions. He then returned to Maryland to manage Ross Valley Farms, where he built up the farm and handled a top band of broodmares that included champions Heavenly Cause and Smart Angle. During his tenure at Ross Valley, he raised and prepped Houston (a $2.9 million sales yearling) and several stakes horses, including Two Punch. After five years at Ross Valley, Bill accepted a management position at Chanceland Farm and helped establish it as a leading operation in the region. 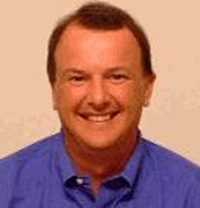 In 1999, Bill started the Bill Reightler Sales Agency. He has established himself as one of the leading sales and bloodstock agents based in the Mid-Atlantic region. His accomplishments include selling Declan’s Moon (2003 Two-Year-Old Champion), owning and racing stakes winner Pagan Moon, owning and selling Rockcide, half-sister to champion Funnycide, carrying in utero multiple stakes winner Rule. Bill is also an avid foxhunter and currently serves as the field master of Mt. Carmel Hounds. A graduate of Brown University and Rutgers University Law School, Jane completed a judicial clerkship with the DC Court of Appeals before entering private practice. 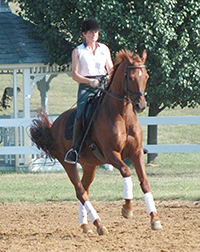 After 13 years as an antitrust and utility litigator with two major DC law firms, and then as government affairs counsel with the Washington office of a multinational corporation, Jane decided to devote herself full time to being the chief operating officer of Reddemeade Farm, Inc., one of the largest lesson and boarding stables in Maryland. Now living and training at her own Dressage at Sundown, she teaches, rides, trains and competes in dressage through the FEI level. Jane served on the Potomac Valley Dressage Association Board of Directors for nine years (including two as Chairman and two as Vice President) and is a former member of Montgomery County’s Agricultural Advisory Committee. She has also served on the steering committee of the Maryland Horse Forums, and has been an organizer of MHC’s Business Seminars. 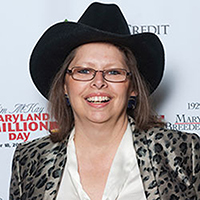 Currently, Jane serves on MHC’s Business Network and Legislative Committees, as an Advisory Board Member of the Maryland Fund for Horses, and as a member of the Advisory Council of the Marion duPont Scott Equine Medical Center. 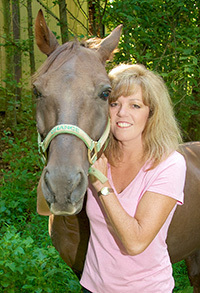 Judy has been involved in the horse industry, especially in Maryland, most of her life. She has enjoyed foxchasing in MD and NC, competing in driving with her four-horse Percheron hitch, dressage, eventing and riding sidesaddle. Her areas of business and organizational involvement include being a current MHC Director-at-Large for Farms, a Frederick County Equine Alliance member and its representative to the MHC, founding member and secretary for the North Carolina Horse Council, former member of the PVDA Board of Directors, and a member of several other associations. Currently, Judy and her husband Tommy have a boarding operation on their Good Friday Farm in Ijamsville. Judy also owns and manages her retail store, Friday’s Horse Giftware. 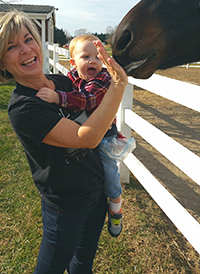 Previously, Judy worked as an equine vet tech for 11 years, and also operated a successful operation of breeding, foaling and starting young thoroughbreds for the track for clients. Kathleen is the sole practitioner of the Law Office of Kathleen J. P. Tabor, LLC, a proactive general civil practice with a special focus on agricultural and equine businesses, activities, and ownership. Her practice has taken her all across the State of Maryland. In addition to her legal training, Kathleen is a trained mediator and collaborative practitioner. She also serves on the Maryland Horse Council’s Executive Committee and the advisory board of Maryland Fund for Horses, Inc. She is a member of the Maryland Farm Bureau, the American Horse Council, American College of Equine Attorneys and the American Agricultural Law Association. Kathleen is also a LEAD Maryland fellow. She currently serves as the Trade & Support Industries representative on the Maryland Horse Industry Board, appointed by the Governor in 2009. Maryland Horse Council membership is open to all associations, farms, businesses and individuals. To join, please visit mdhorsecouncil.org or contact admin@mdhorsecouncil.org and request a membership form. The Maryland Horse Council is sponsored by Naden/Lean, LLC, Southern States, Maryland Horse Breeders Association, B&D Builders, Mid Atlantic Farm Credit and The Equiery.